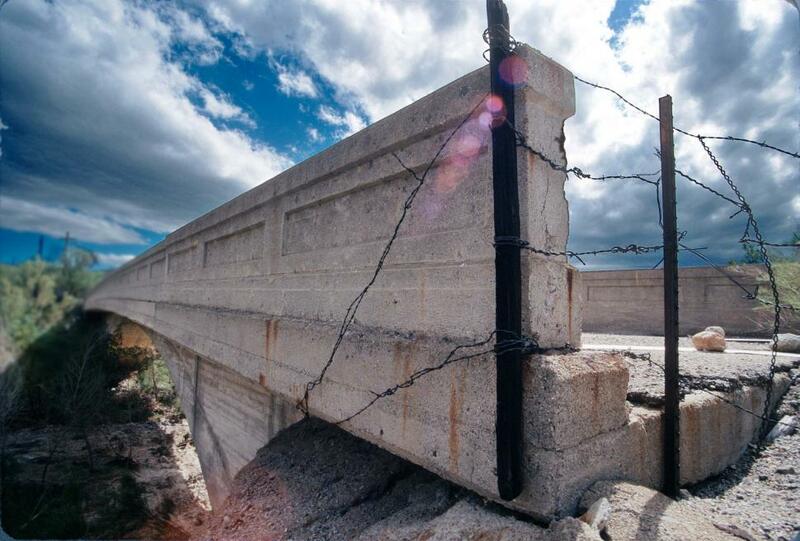 Old concrete bridge is fenced off for safety, with crumbling roadbed. This is the only picture of a damaged bridge I could find. It is perfect for what I am doing. Thank you!